Marketing is such an integral part of building up your business that it is essential for you to choose the right individuals to fulfill this important responsibility. As a field of work, marketing can involve many different tasks – including writing content such as blog posts and press releases, communicating with clients, analyzing the results of a marketing campaign, and many other different tasks. These are crucial. With day-to-day activities such as social media uploading, writing blog posts, producing advertising literature and handling other content uploads, the person who you hire as part of your marketing team must have strong written and communication skills. However, this not only means being good at spelling as well as being consistently grammatically correct; it also means that they will be able to communicate efficiently and effectively. 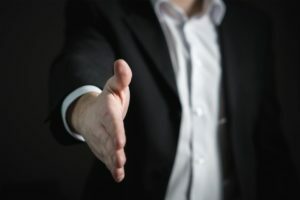 As a direct result of marketing techniques often utilizing customer knowledge as well as the marketer’s opinions on products and website design, your next marketing ace needs to have great interpersonal skills. Not only must they develop relationships with your current customer base, they must also build relationships with new customers as well as other companies. Hence, the next member of your marketing team must be able to communicate effectively as well as be personable so that they will be effective at team-working. 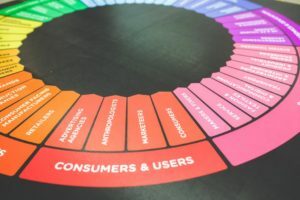 Although this particular part of the job may often be overlooked, it is one of the most important components of thriving in a marketing team. As well as fulfilling day-to-day responsibilities, such as using digital programs to write posts and other forms of content, members of a marketing team will also find themselves analyzing analytics and other forms of marketing research. This means that they definitely must be proficient in IT. If they are not proficient in the specific program that your business uses, they must be willing to learn about it so that they will be able to use it efficiently and effectively at a later date. Every single day, your marketing team utilize their organisational skills in order to complete a whole array of individual tasks. Digital marketers must not only multitask but also work to prioritize the tasks which need completion immediately. Hence, your next marketing recruit must be able to meet deadlines effectively as well as maintain a very high level of accuracy throughout this plate-balancing act. The four skills listed above are only a few of those which you must look for if you want to hire a true marketing superstar; however, what you individually require for the next member of your marketing team is totally up to you. Furthermore, by drawing upon digital marketing services offered by another company, you can continue to meet your promotional needs as you wait to hire new in-house staff.